A variety of sewn fabrics. Sindy 'Summery Days' outfit, in a selection of oranges and pinks. 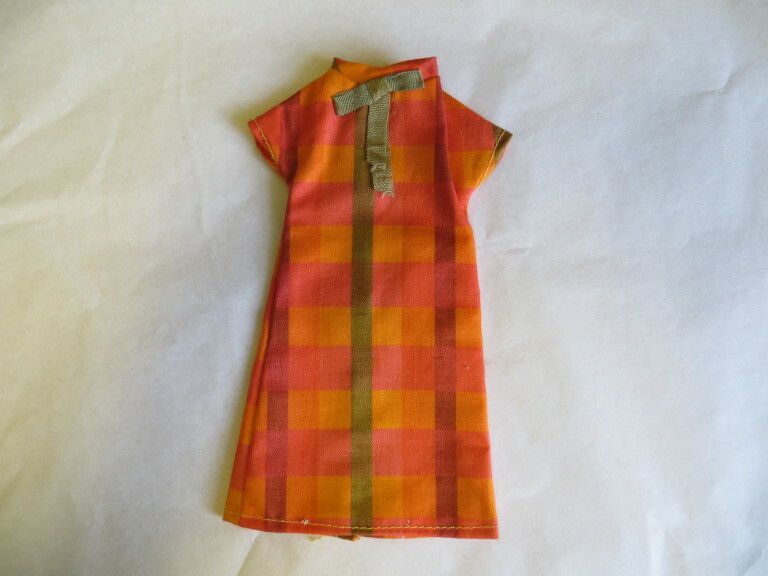 A variation on this dress was released as part of the Sindy 'Scenesters' collection five years later, in 1968. Short-sleeved shift dress in orange hued multi-check cotton. Green bow fixed to the front and two white poppers securing the back. 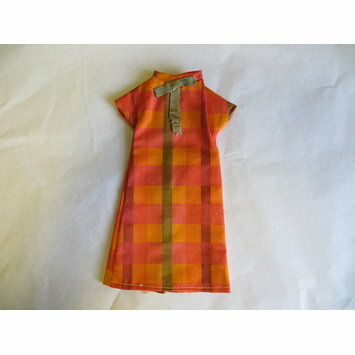 Sindy 'Summery Days' short-sleeved shift dress in orange hued multi-check cotton. Green bow fixed to the front and two white poppers securing the back.